Could you please allow us to customize and restrict the buttons or options available on the "Convert" page? For instance - we don't want our Sales Reps to be allowed to automatically create a new opportunity. Can we remove that option? Also we want it to be required that they make a new activity when they convert to a contact. Can this be possible? @Christian Anderson - Thanks for the continued feedback. We do understand that this is important to our customers, but we had so much to do to complete the overhaul of the Lead Convert process and to add features such as Attach to Existing Opportunity, and Record Type selection for Contacts and Opportunities that we couldn't attack what would be an additional element in the Admin. Your feedback and continued articulation of the importance of this is very valuable to us as we move forward with the product. @James Benson - The thread is 10 years old. Fortunately we have developed requested features over the years, but we certainly did try with Winter '18 to attack it more aggressively than we have in a while. At some point we know we should start a fresh thread, but we continue to extract so much value from this one that it is difficult to decide when to make the cutoff. @Cale Brewster - Thanks for the feedback. One of the great things about knocking out many of the most glaring requests is that it allows users to move on to the next set of priorities. Perhaps Record Type mapping will continue to gain traction in importance to large groups of our users. Agreed that being able to at least customize the fields shown in the conversion pop up window would be helpful like making Opportunity name a required field. Need to assign a record type! Using Classic version. please do this for classic view. we are not ready to move to lighting and this has been around since before your planned to change the UI. why limit it to just one of the whole UI available? 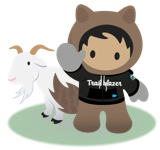 @Larissa Johnson we just released an update which links the default Profile Record Type for Account, Contact and Opportunity to the Lead Convert Process. Hopefully this can be used to effectively ensure that the "right" Record Type is used on lead conversion. @Christian - Thank you. Hope to see this soon. As well as all panes expanded by default! @Richard - There is not currently a way in the new lead conversion process to default to not create an opportunity. I've submitted case for this and the answer was not at this time. It is desparately needed for those of us who don't create opportunities during lead conversition. The Winter 18 release definitely brings some great enhancements to lead conversion in Lightning - thank you! The ability to determine is the "Don't create an opportunity upon conversion" chechbox appears or not in the user case of wanting to require users to create a new opportunity. The ability to defaulty the record type for the account when creating a new account from lead conversion. Currently, this displays all record types that the user has access to, but our user case we want to require a specific record type is used. The users know this, but often hurry through the page and by defaulting the selection, it would improve data integrity. @Brooke Lane, While I am greatful for the improvements in this process, the inability to customize any of the settings in this make it actually take my users twice as long to convert leads. It would be nice to be able to customize the Account Name, Opportunity Name, Record Types, and default creation options (new or attatch to existing). As is, there is exactly as much typing as before, and a 3 times the clicks that my users have to go through to convert leads. Not a giant deal, but I was expecting a little bit more customization based on the merged ideas and stated features. You have done great work, but you have added no admin features to make this better on a case by case basis. Hoping to see that in the near future. Adding Shipping Address has been Lost with the uodate. We used to use this to pull through details to the opportunity upon conversion which has been lost now with the Winter 18 Update . The new Popup window to convert leads does not allow yuou to put the shipping address into the account before it's created. We have a trigger that pulls this into the opportunity upon conversion. Its great that you brought back the ability to select contacts/accounts. The issue we have is that we wish that Select Existing was defaulted rather than Create New. Also we would like the ability to default Do no Create Opportunity. Hope to see advancement in the releases to come. Helping a friend start a SF org for his new company and am just learning about Leads for the first time. The lack of flexibility is...odd. Looks like the work around article linked by Brooke will have to work for at least the record type mapping portion of our issues. I really hope enhancement continues on this!